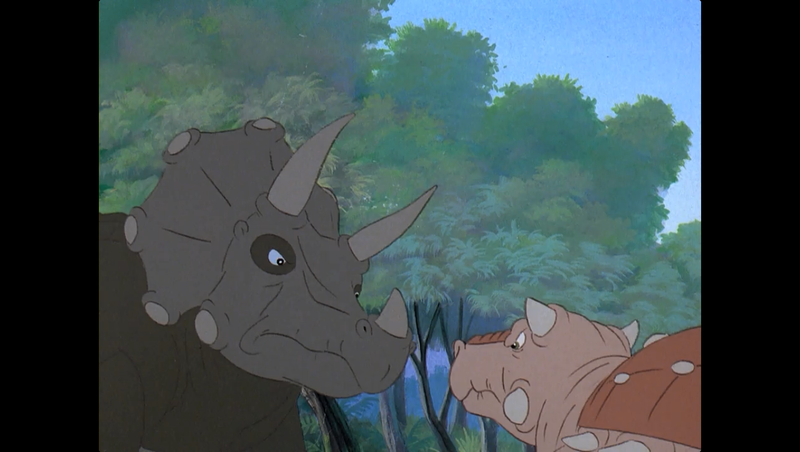 The Land Before Time III: The Time of the Great Giving (1995) - AoM: Movies et al. Overall, I liked this movie better than the second one (The Great Valley Adventure). 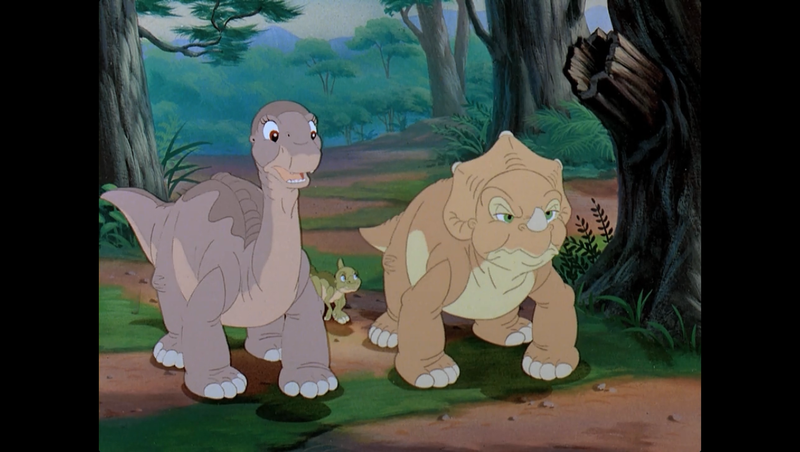 Note: For whatever reason, I chose to watch The Land Before Time XI (2005) next, even though The Land Before Time VII (2000) was available on Netflix. Not only have I have grown accustomed to the characters, but I liked the themes and songs of this movie better than the last. Haha. "But I didn't hear you say please." "That's because I didn't!" Haha. She was looking for Cera where Cera couldn't have fit. That was indeed quite rash of him. The parents had yet to inform the children of their planned conservation efforts. 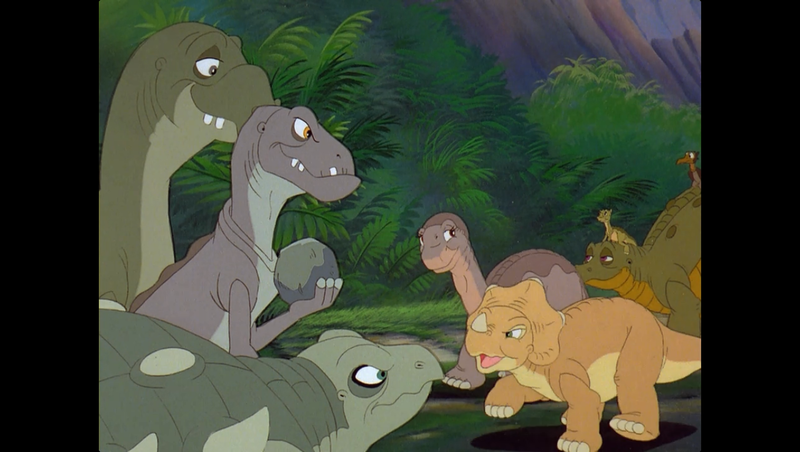 Its not like Littlefoot broke any known rules. 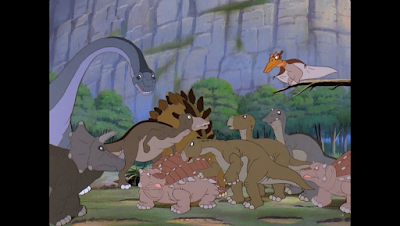 Not to mention, it wasn't even Littlefoot who caused the splash. Wow. 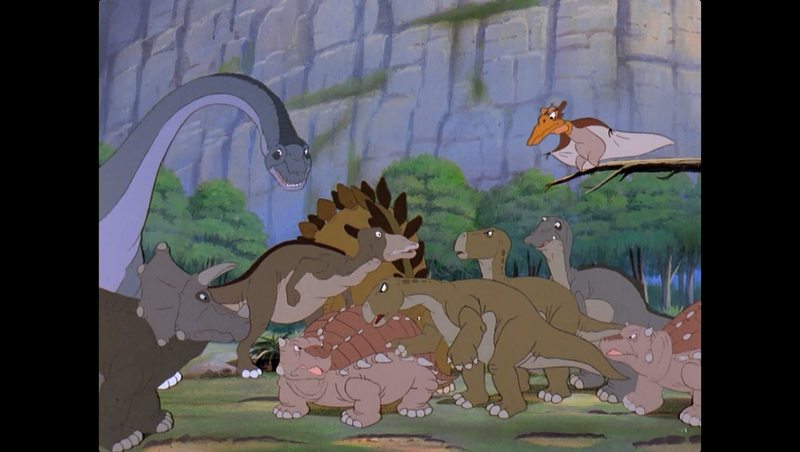 What a great moment, to have Littlefoot save the day due to his size, quick thinking, and preparedness. Haha. I like how Hyp freezes as soon as Littlefoot says he should. Hehe, even the parents have something to learn in The Land Before Time movies. 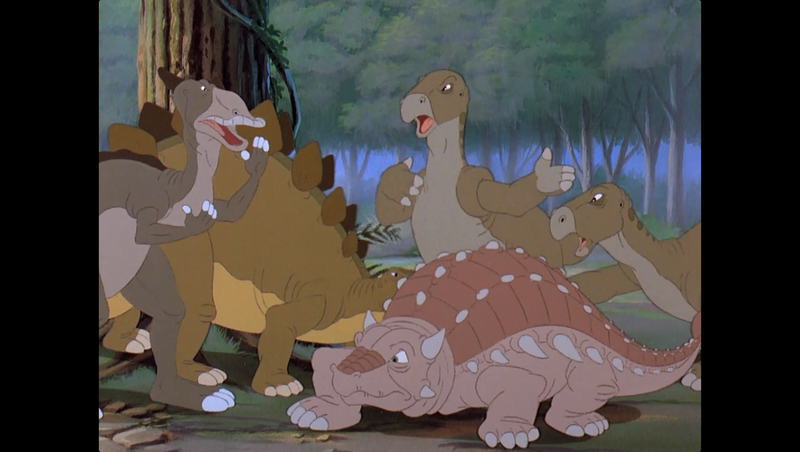 Saurolophus, Stegosaurus (Tress MacNeille), Iguanadons (Jeff Bennett), and Clubtail. "The time of the great giving."